It's PHP Spreadsheet extension that allows you to export excel files from an excel template. Using the extension you don’t need to create excel files from scratch using code, set styles and so on. Using this extension, we just create a template file with the styles we need and specify template variables in it. In the code, we just pass the parameters to template variables. Features demo and usage examples are given in the folder "samples". Possible so-called side effects when using one-dimensional or two-dimensional arrays in one sheet. Especially when it is located asymmetrically. An example of side effects is also given in the folder "samples". How to insert a one-dimensional array, so that the table create columns, not rows? You ask, what for specify setters explicitly? First, because it's flexible: let's say you want to create your own setter with your own algorithms that eliminate the side effects, which I mentioned above. Secondly, in each setter, you can pass a callback function in which we can change the styles of the inserted cells. For example, you need to highlight with bold font the employees who made the best sales in this month. Examples of code that uses all kinds of setters are listed in the folder "samples". How to set styles without setters? There are special templates, which require to insert the whole row, and not insert cell with shifting down. Moreover, it's required to merge cells, as well as the cell in which there was a template variable. For these templates, a special setter has been created: CellSetterArrayValueSpecial. 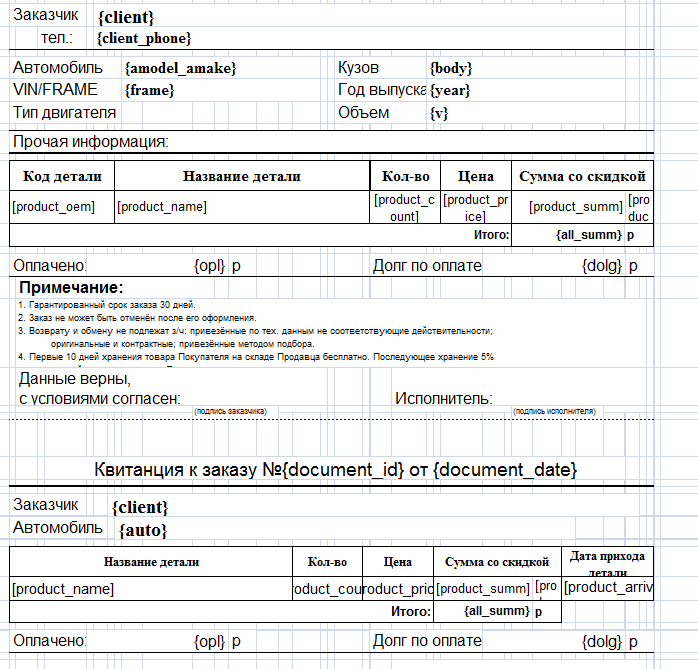 Examples of code that uses it is given in folder: samples/8_special_template.